 Mindfulness Matters teaches and engages children and teens in critical mindfulness skills.  Players learn different mindfulness techniques and how to apply them in their everyday lives.  Game play is cooperative to enhance social skills. Adults are encouraged to join in responding and demonstrating appropriate answers.  Both action cards and reflections build skills and increase understanding. 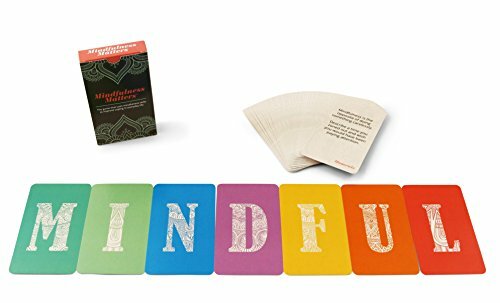  Cards can also be used individually to practice mindfulness, or alternately in a competitive game.  Includes 58 cards, instructions, and tips for success. Game can be played in 15-25 minutes.